slightly flaring lip, cylindrical sides, vertical gadrooning on curved section above very slightly stepped base encircled by molded baseband. Center point on bottom, between initials. 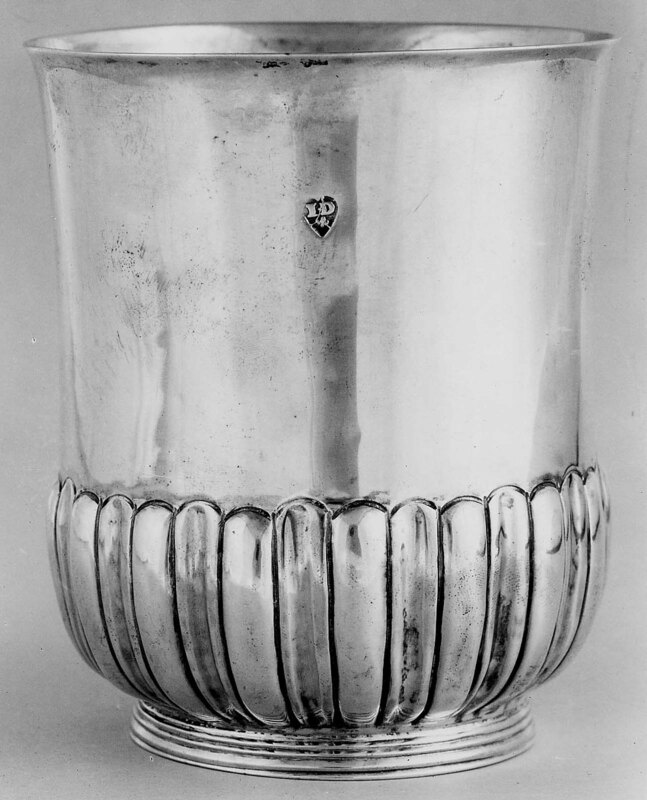 Probably Edward Brattle (1670-1619), a founder of the Brattle St. Church; following the dissolution of the church, the silver was given to the Museum in 1913 by the Benevolent Fraternity of Churches.